There are two main methods for capturing text while using your iPhone. One way is by using Siri to carry out an ever growing variety of commands and tasks. The other method is through dictation accessed via your keyboard. While Siri is a perfectly capable dictation tool, and might be the preferred way to capture text by many, I have found that my favorite digital assistant especially shines when asked to answer questions and perform tasks. Dictation, however, is more of a quick and dirty way to collect your thoughts and have them transposed right onto your iPhone screen whenever you typically would desire to enter text in an app. Think of it as an alternative to typing. While a very helpful tool, there are some initial challenges to dictating effectively on your iPhone. The manner in which we speak doesn’t always translate exactly to how we write–or even how we collect our thoughts. As a result I’ve collected some tips to help you be the most efficient at using dictation. There are two main methods for capturing text while using your iPad. One way is by using Siri to carry out an ever growing variety of commands and tasks. The other method is through dictation accessed via your iPad keyboard. While Siri is a perfectly capable tool to use for dictation, and might be your preferred way to capture text, we have found that our favorite digital assistant especially shines when asked to answer questions and perform tasks. Thomas recently wrote about some of his favorite uses for Siri on his iPad. Dictation, however, is more of a quick and dirty way to collect your thoughts and have them transposed right onto your iPad screen whenever you typically would need to enter text in an app. Think of it as an alternative to typing. While a very helpful tool, there are some initial challenges to dictating effectively on your iPad or other iOS device. The manner in which we speak doesn’t always translate exactly to how we write–or even how we collect our thoughts. 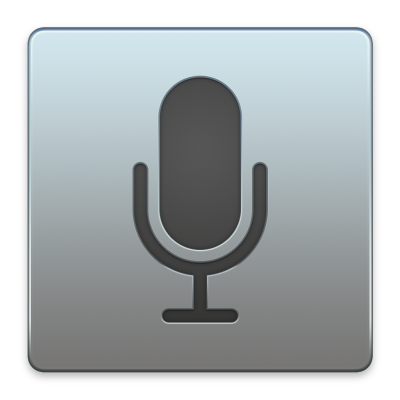 As a result we’ve collected some tips to help you be the most efficient at using dictation.